prthivite, all over the world, as many towns and villages are there, Sri Caitanya Mahaprabhu predicted that His mission will spread. This prediction was made by Caitanya Mahaprabhu personally five hundred years ago. So I was convinced. But at that time, although he wanted me to immediately join him and spread this movement, so at that time I was a married man, young man. I was married in 1918. And I got a son also at that time, 1921. And in 1922 I met him. At that time I was manager in a big chemical factory. So I thought that “I am married man. I have got so many responsibilities. How I can join immediately? It is not my duty.” Of course, that was my mistake. I should have joined immediately. (laughter) I should have taken the opportunity immediately. But maya is there. So I thought like that. So that’s a long history. Then in 1954, no, not 1954, 1968, when I was fifty-four years old… Nineteen fifty-four, yes. Nineteen fifty-four, I was at that time fifty-eight years. So I left home, and I was living alone. Then, 1958, I took sannyasa, and then I decided to take up the responsibility of my Guru Maharaja. I thought that “My other Godbrothers are trying, so I am not capable to do it. They are better situated.” But somehow or other, they could not do very much, appreciative activities, in this connection. Prabhupada: So now, by the grace of Krsna and Caitanya Mahaprabhu and in the presence of my Guru Maharaja, you are so nice boys and girls. So in front of Caitanya Mahaprabhu you are chanting Hare Krsna mantra, and you are taking part in it very seriously. So my Guru Maharaja will be very, very much pleased upon you and bless you with all benefits. If you don’t keep in touch with the original link, then it will be lost. And if you keep touch with the original link, then you are directly hearing Krsna. Similarly, Krsna and Krsna’s representative, spiritual master, if you keep always intact, in link with the words and instruction of the superior authorities, then you are always fresh. This is spiritual understanding. Na jayate na mriyate va kadacit nityah sasvato ‘yam purano [Bg. 2.20]. Puranah means very old. Just like Krsna, the Supreme Being. He must be very old because He is the original person. But the Brahma-samhita says, advaita acyuta anadi ananta-rupam adyam purana-purusa nava-yauvanam ca [Bs. 5.33]. Purana-purusa, the oldest person, but you will find Him nava-yauvanam ca, always a fresh youth. That is God. God is not a material, that it gets old. The body gets old. So you are hearing this philosophy daily. Try to understand more and more. We have got so many books. And this is the mission of Caitanya Mahaprabhu and, by disciplic succession, Bhaktivinoda Thakura, then my spiritual master. Then we are trying our level best. Similarly, you will also try your level best on the same principle. Then it will go on. Same principle. It doesn’t matter whether one is born in India or outside India. No. When Caitanya Mahaprabhu said, prthivite ache yata nagaradi-grama, “As many towns and cities and villages are there,” He did not say it to make a farce. He is the Supreme Personality of Godhead. So sometimes I am very much criticized that I am making foreigners a brahmana. The caste brahmanas in India, they are very much against me. But this is not fact. When Caitanya Mahaprabhu said that all over the world His message will be broadcast, does it mean that it will be simply a cinema show? No. He wanted that everyone should become perfect Vaisnava. That is His purpose. It is not to make a farce, some lecturing and…, or some mutual praising society. No. It is Krishna Society. Everyone who will join this Krishna Society movement, he is more than a brahmana. Brahmana, what is brahmana? Brahmana is also material. A devotee is more than brahmana. The brahminical culture is included already. 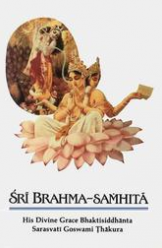 Brahma janatiti brahmanah: “Brahmana means one who knows the Absolute Truth, Brahman.” He is brahmana. But that is not very fixed up. Brahmeti paramatmeti bhagavan iti sabdyate [SB 1.2.11]. Brahman is impersonal effulgence, and then further progress, realization of the localized aspect, Paramatma, Antaryami, and finally, understanding the Supreme Person, Krsna, Supreme Person, that is the final understanding. So people cannot understand that how the Supreme, the origin of everything, can be a person. That is their difficulty. Because they are thinking, “A person, God? How it is possible. God is great, and He is the creator of everything. How a person can do that?” Yes. That is the Vedic version. He is the cause of Brahman. He is the cause of Supersoul. So ordinary man cannot understand. Avajananti mam mudha manusim tanum asritam [Bg. 9.11]. It requires Krsna’s grace to understand Him. So try to receive Krsna’s grace through the disciplic succession, Caitanya Mahaprabhu. Then you will understand everything. Yasya deve para bhaktir yatha deve tatha gurau [SU 6.23]. This is the process, Vedic process. One should have unflinching faith in God and spiritual master. Don’t jump over God, crossing the spiritual master. Then it will be failure. You must go through. We are observing Vyasa-puja ceremony, the birth anniversary of our Guru Maharaja. Why? We cannot understand Krsna without spiritual master. That is bogus. If anyone wants to understand Krsna, jumping over the spiritual master, then immediately he becomes a bogus. Therefore Caitanya Mahaprabhu says, guru-krsna-krpaya paya bhakti-lata-bija [Cc. Madhya 19.151]. That is Vedic injunction. Tad viddhi pranipatena pariprasnena sevaya [Bg. 4.34]. Nobody can understand Krsna without going through His most confidential servant. This is the meaning of this Vyasa-puja. You cannot surpass. If you think that you have become very learned and very advanced, now you can avoid the spiritual master and you understand Krsna, that is the bogus. That is the meaning of this Vyasa-puja ceremony. We should always pray, yasya prasadad bhagavat-prasadah **. Yasya prasadad, only by the grace of spiritual master we can achieve the grace or mercy of Krsna. This is the meaning of this Vyasa-puja, offering obeisances by parampara system. So you have taken a very nice line of activities, spiritual activities. Of course, as far as possible, we have tried to give you instruction, books. But remain always faithful to the spiritual master and try to understand Krsna. And if you simply understand Krsna, then your life is successful. Janma karma ca divyam me yo janati tattvatah. The human life is meant for understanding Krsna. That is the perfection of life. Any other so-called understanding, that is simply waste of time because we are under the grip of the material nature. You may be very learned scholar. You may be a fool. It doesn’t matter. You are under the laws of material nature. So before finishing this small span of life… We have got this human form of life. It will be finished, as the cats’ and dogs’ life also finished. But if we try through the guru and Vaisnava, then, we can achieve in this life the full success, not failure like cats’ and dogs’ life. That is the opportunity. So as far as possible, we are trying to lead you in this line, and you kindly follow. Then your life will be successful. That is the mission of Sri Caitanya Mahaprabhu. He wanted to deliver these fallen souls, the conditioned souls rotting in this material world. So Krsna Himself… Krsna comes Himself, Krsna sends His devotees, Krsna comes as devotee — just to execute this mission to reclaim the fallen souls from the clutches of illusory energy, material world.